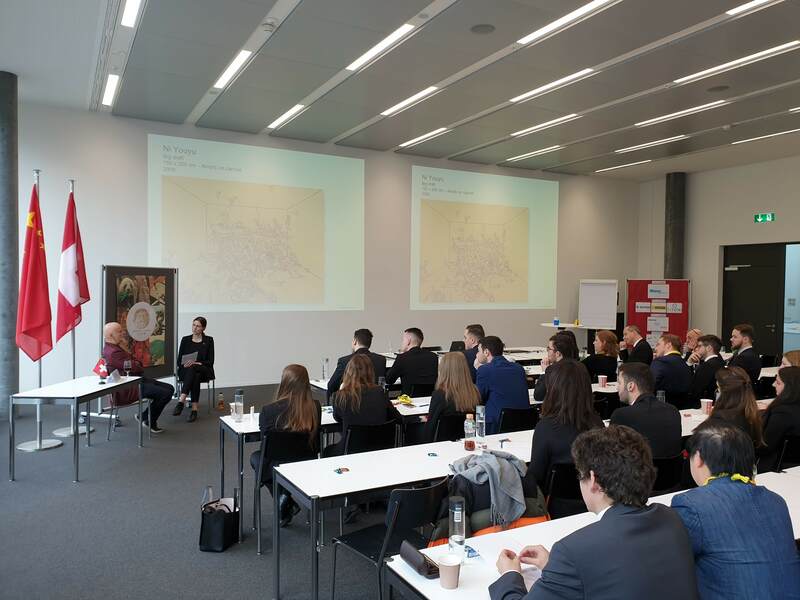 The second day of the Preparatory Seminar was marked with highly interesting speeches and inspiring Guests. 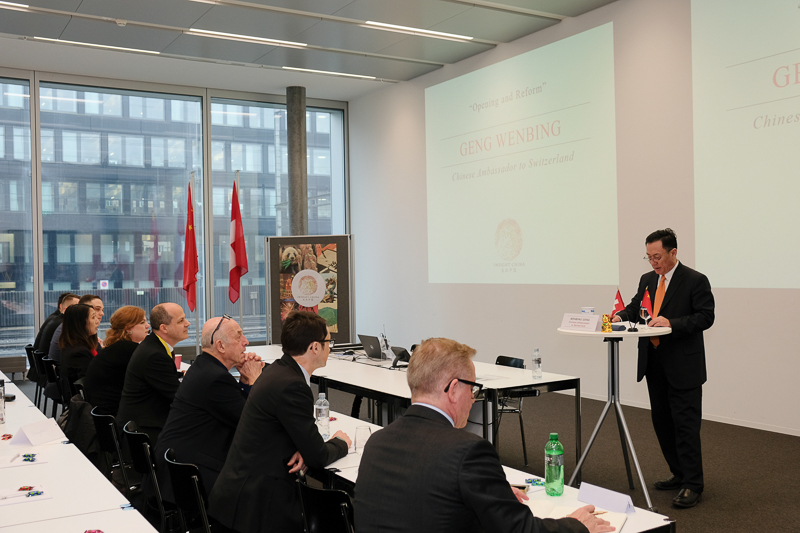 The day began with the Speech of the Chinese Ambassador to Switzerland, his excellency Geng Wenbing. 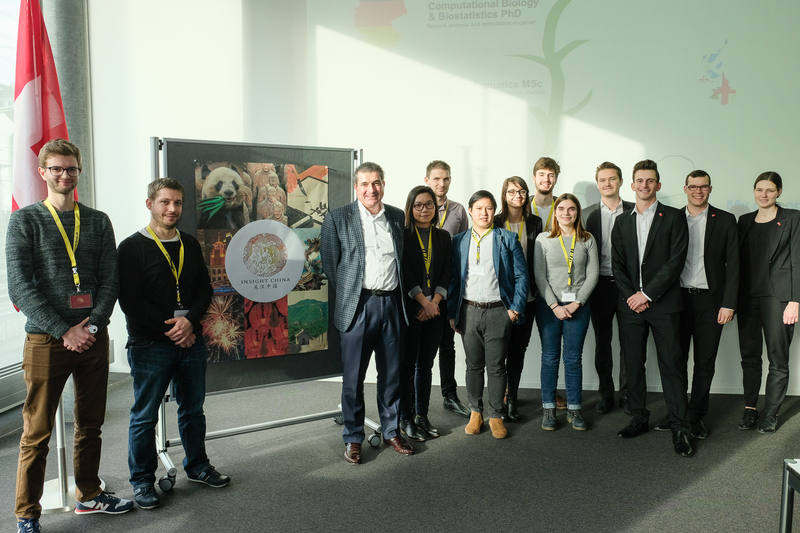 We had the great honour to welcome him on the second day of the Preparatory Seminar! The Chinese Ambassador talked us through the history and evolution of China, by highlighting the developments of China since the Opening up, when China has entered a new era. The Communist Party of China (CPC) came into being in 1921, and in 1949 the People’s Republic of China was established. To mark the 100th anniversaries of these two important dates, the CPC set goals that are to be met by 2021 and 2049. 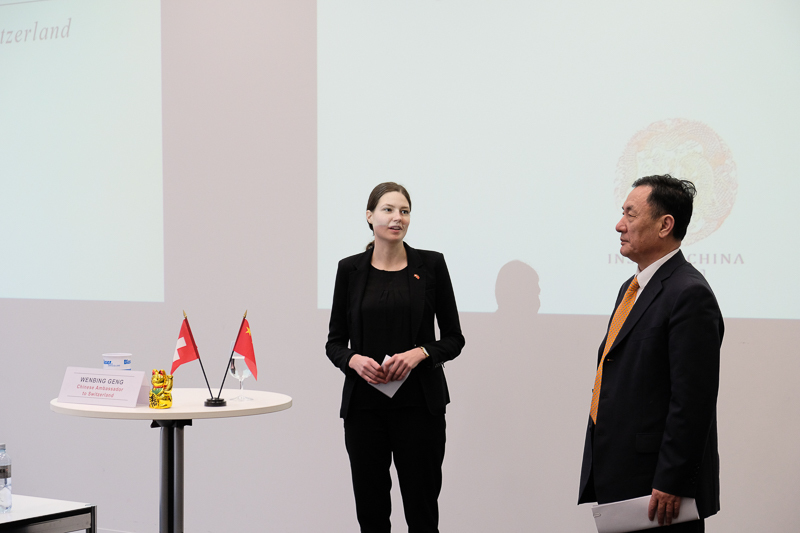 Mr. David Braun then conducted a speech about the Swiss-Chinese relations. 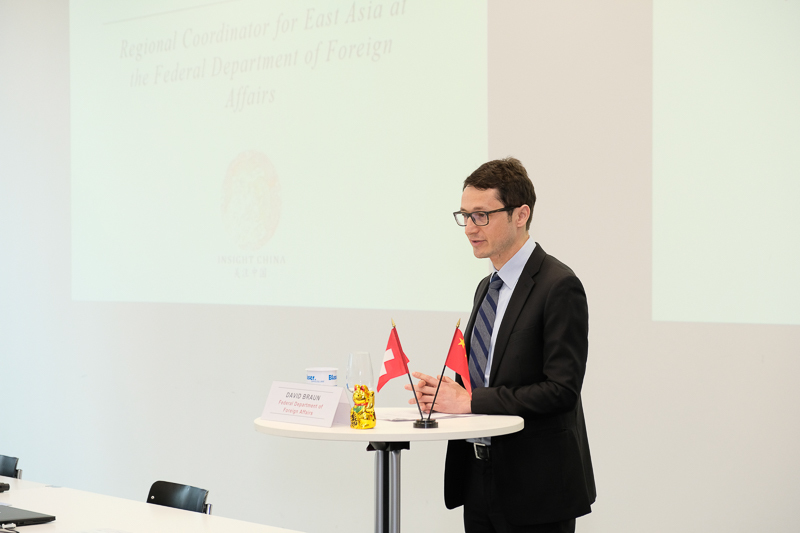 Mr. Braun is the Regional Coordinator for East Asia at the Federal Department of Foreign Affairs FDFA. He mentioned that “China’s rise is a renaissance”. According to Mr. Braun, seeking cooperation and addressing differences is important. By giving his final message to the students, he citied Albert Einstein: “The only source of knowledge is experience” and encouraged us to study China further. 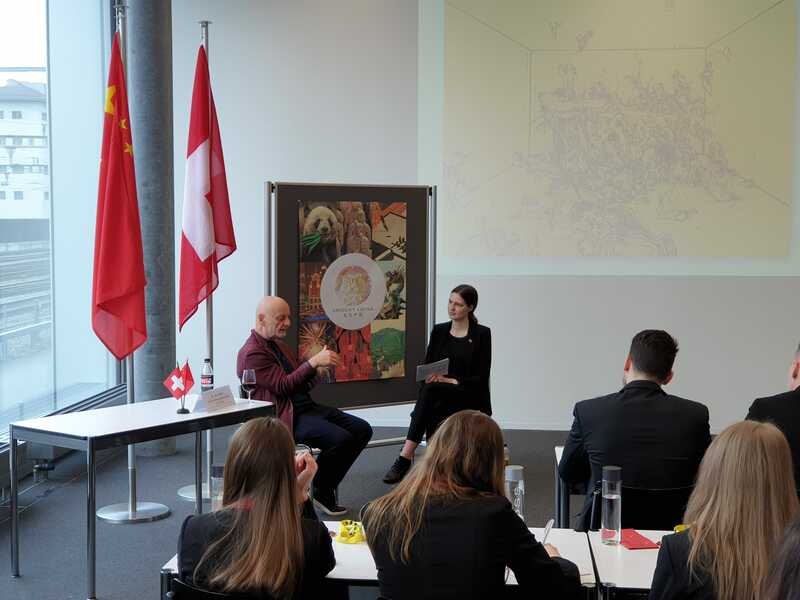 The morning continued with a discussion between Project Team member Nadine Hitz and Dr. Uli Sigg, Former Swiss Ambassador to China. 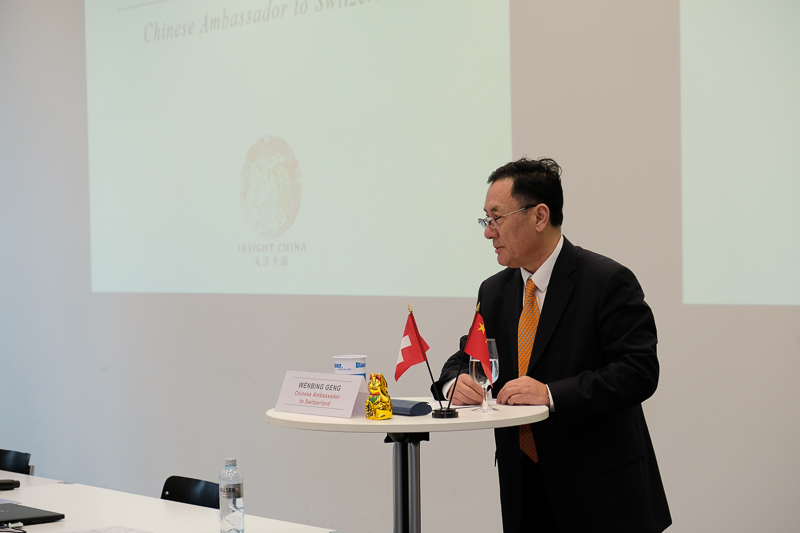 On the question where he sees the difference between Swiss and Chinese students, he answered that the Chinese students are extremely ambitious. For Chinese families, even the choice of the kinder garden is carefully made, and going to University is viewed as essential for young Chinese people to succeed. 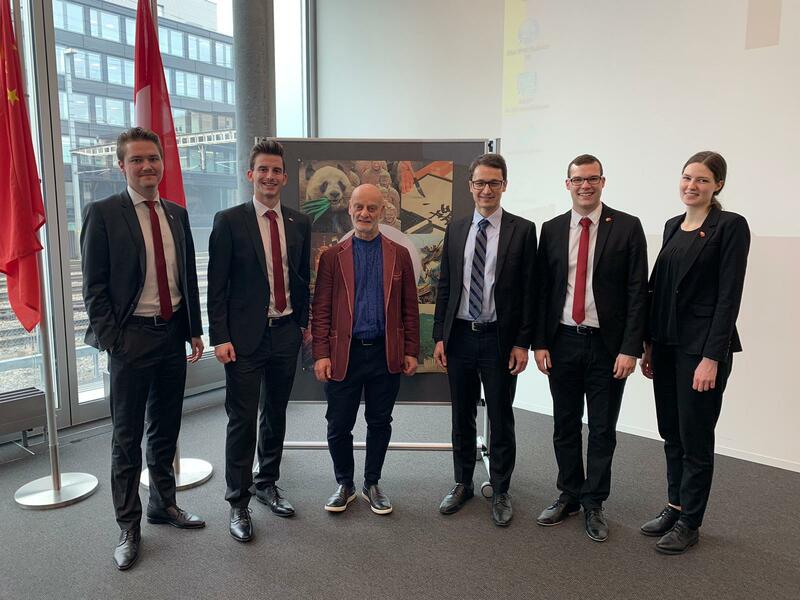 During the discussion, we could see pictures of the art collection of Dr. Uli Sigg. Uli Sigg is very well known for his art collection. He has formed with 2500 works the most substantial collection of contemporary Chinese art in the world of which he donated in 2012 1450 works to M+ Museum for Visual Arts in Hong Kong. The discussion was followed with an insightful Q&A session. As you might know, Bertschi AG is one of our Gold Partners. In 2011, Bertschi was the first company to transport ISOtanks on a pure rail route between Europe and China. 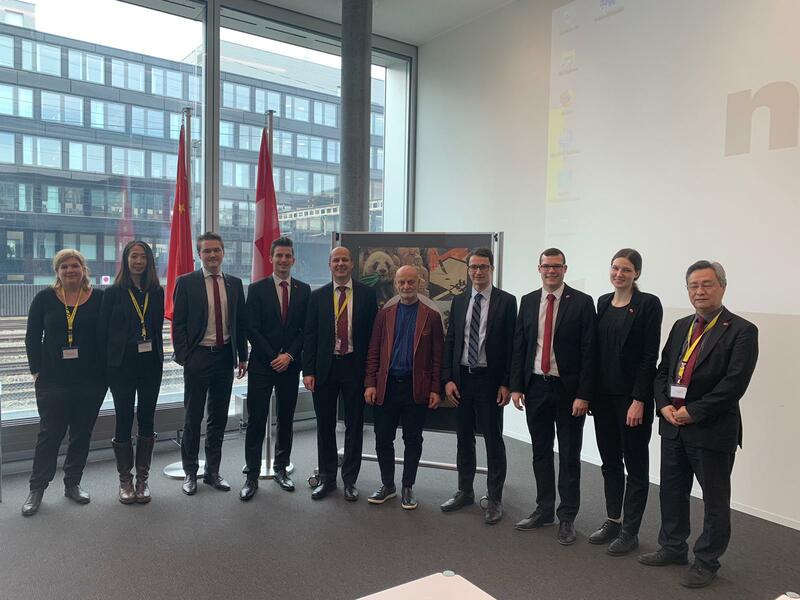 Mr. William Leigh-Pemberton, the Strategic Development Director at Bertschi AG, delivered a presentation about the opportunities along the China’s New Silk Road. He explained the challenges of doing business in China and how to fight and win in this huge country. One of the challenge is the fact that China is a fast moving country. 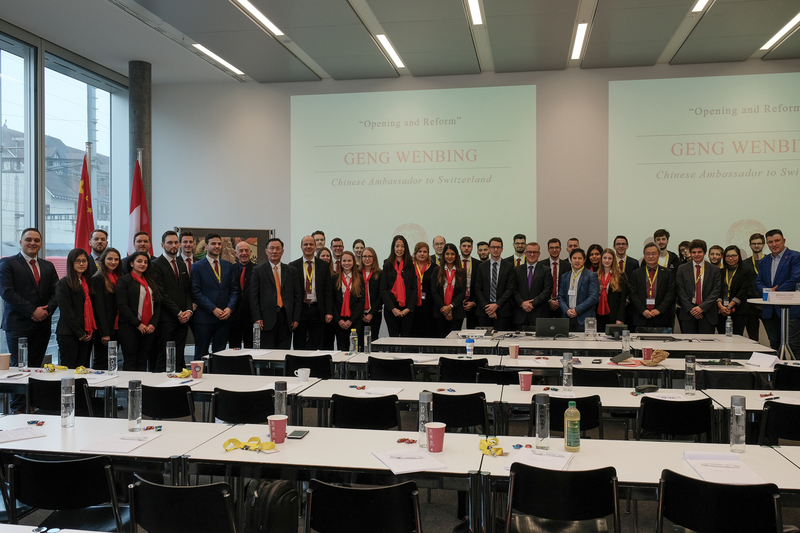 To win in China, Mr. Leigh-Pemberton advised that companies should response quick to customers and that a highly motivated and happy team is crucial to succeed. are needed to create one single drug? 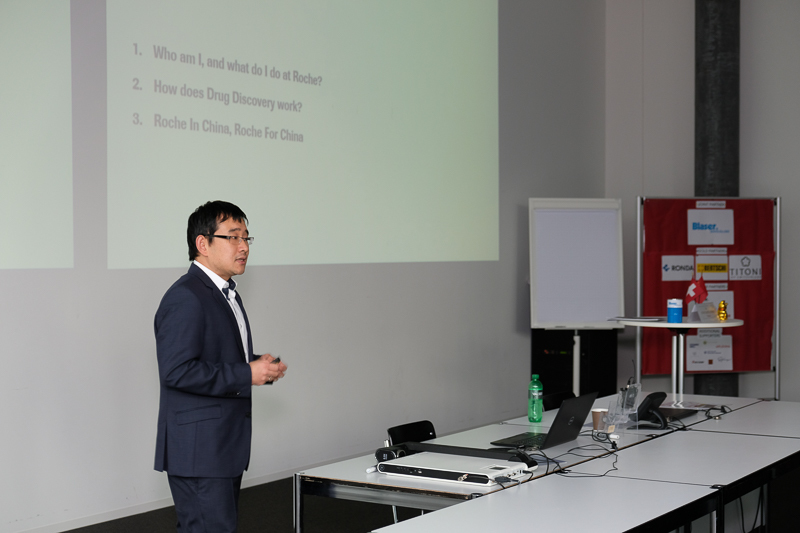 Towards the end of his presentation, Dr. Jitao David Zhang talked about delivering long term value to Roche and China. Today, we had the honour and pleasure to welcome many fascinating guest speakers. We look forward to what the next few days will bring!